The VProm was originally based on THE killer drum machine in town back in the early 80s, this expensive drum computer was also the first to include real drum samples back in the days! 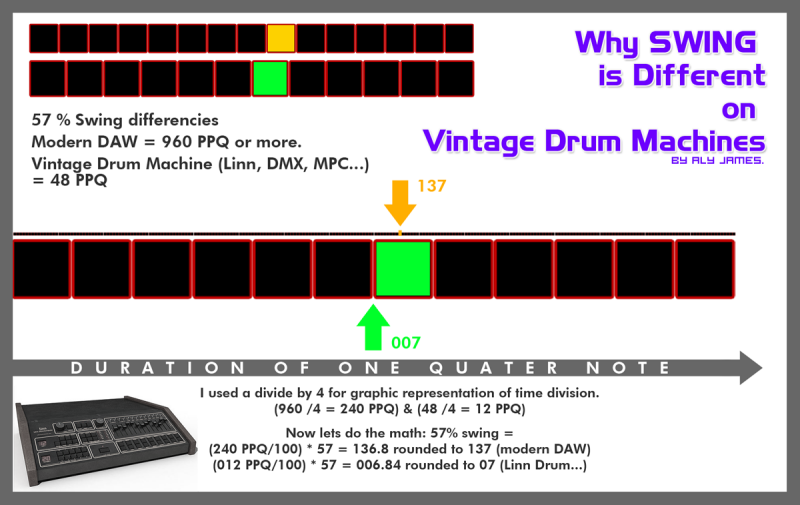 Early sample based drum machines used samples of acoustic drum sounds recorded on the fly through some basic hardware. The way they were recorded without any kind of anti-aliasing makes them cut better in a mix than anything available at the time, they sounded so great that they became an alternative to the analog drum sounds of that era. To this day, the unique sound of this vintage machine is highly regarded because only using samples of the analog output is not enough to reproduce the wide range of sound and character of this beast. One DAC(converter)and clock per voice and yummy filters! Yes it is a historical piece of gear that take a huge place in the 80s sound picture. Only around 500 of these things are out there so don't count on finding a working one easily and forget for cheap. It has been used by major acts like Prince, Phil Collins, Thompson Twins, Stevie Wonder, Gary Numan, Depeche Mode, The Human League, Jean-Michel Jarre, Vangelis, John Carpenter, Todd Rundgren,The Art of Noise... The Machine was made by a musician for musicians and I tried to stick to that standard :) So as there were no accurate VST for that legend out there... I had to make the VProm! THANKS FOR YOUR SUPPORT! IT MAKES THINGS HAPPEN, SUCH AS VProm ON WIN, MAC, x86 AND x64 Platforms! 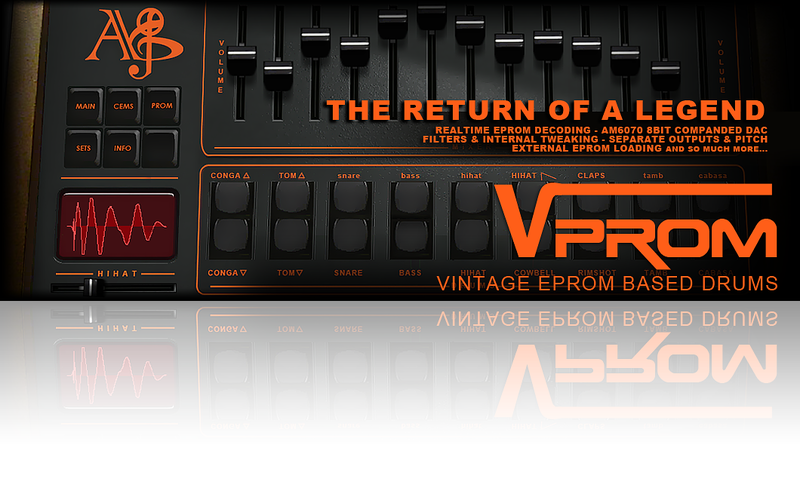 VPROM accurately reproduces the internal circuitry and filtering of the first legendary Drum Machine but is also perfectly able to read and import original, custom or vintage EPROMs from other Drum Machines of that era, legendary 80s machines such as the Linndrum, DMX, DrumTraks etc. 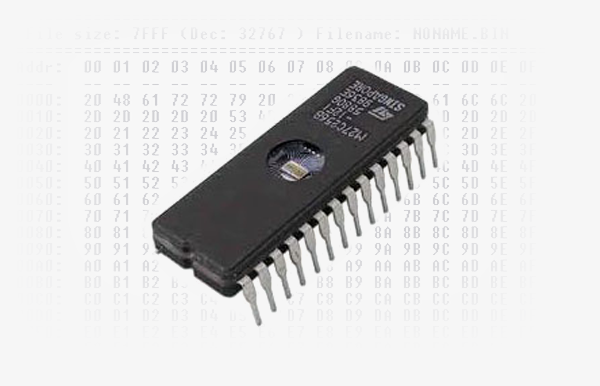 (.bin files that you can find on the net) An EPROM is an integrated circuit that was used to store short audio sample data in a compressed format. 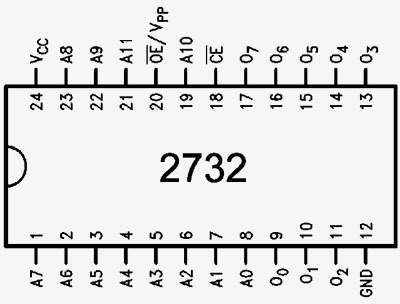 VPROM is the closest thing to the real deal - reading and decoding original EPROM data images in real time using the exact decode table from the AM6070 DAC at a variable sample rate. VPROM also allow experimenting with your own sample database. You can convert samples with external tools and load compatible ULaw companded images (see manual for more info). I hope you enjoy making funky grooves with VPROM as much as I do! Disclaimer: The original name of this VST, "VLinn", has been changed at the request of the Linn Electronics copyright holder, Roger Linn. It is now named "VPROM". Aly James Lab has no affiliation with Roger Linn and has not received any consent from Roger Linn. We do not claim to reproduce the sounds of Roger Linn s product but rather this product creates sounds inspired by Roger Linn s past products. 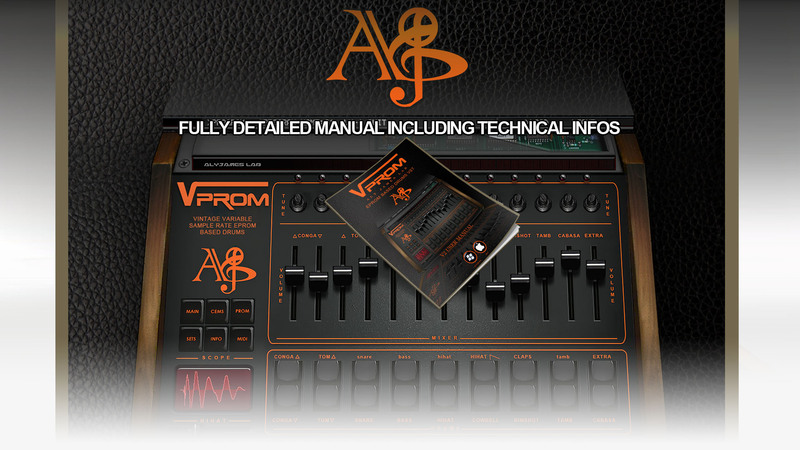 VProm VST Videos & Sounds Demos Playlists. MOST OF THESE VIDEOS WERE DONE WITH Version 1.0 BUT NEW VIDS ARE COMING ALONG! Get amazing details about the first sample based drum machine and master the beast! 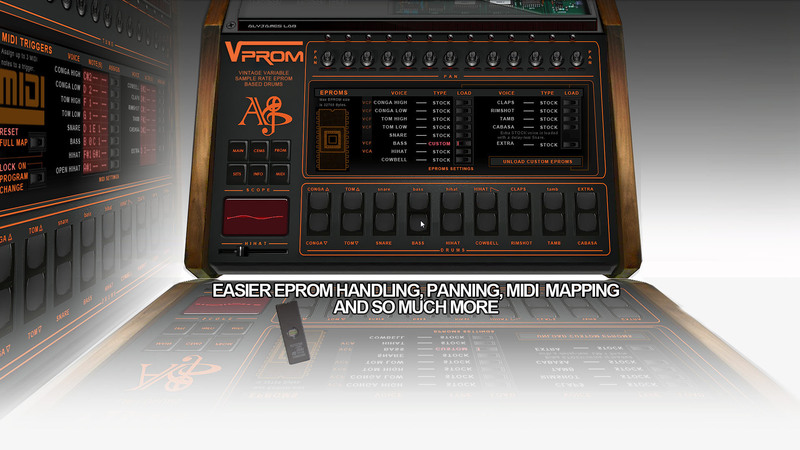 VPROM VST EPROM BASED VINTAGE DRUM MACHINE USER MANUAL V2. 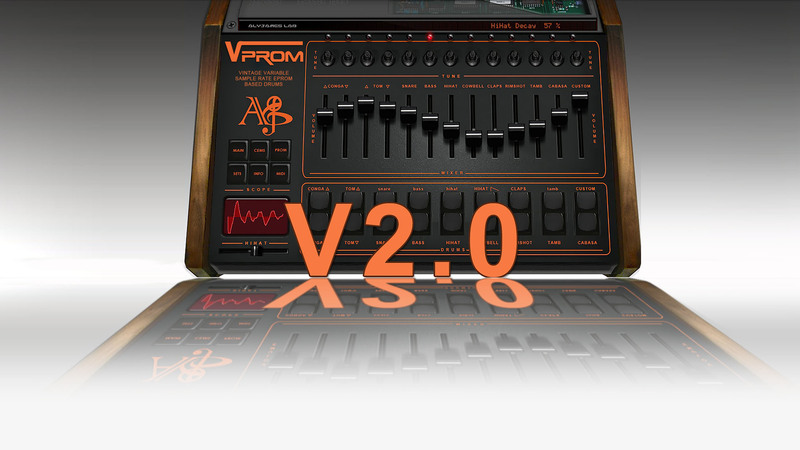 Thank you for willing to buy the new VProm version 2 VST AU Software. Once your payment is accepted you will receive an Email with instructions and the VProm software link within 3 days Max. The software will be registered to your Paypal account or provided name.